Say what you will about Woody Allen, he’s a brilliant writer and filmmaker and at the age of 80 is not slowing down. He made a deal with Amazon to create his first series and last year he was fretting that it was a “catastrophic mistake.” But things appear to be coming together – he cast Miley Cyrus as one character and it could be a huge career break for her. 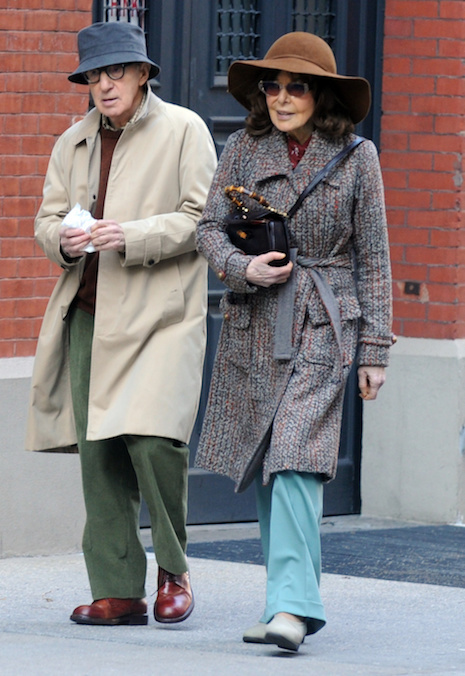 Above, Woody and comic actress Elaine May, 83, are filming a scene for the untitled project set in the 1960′s, and it makes one wonder if HIS character will be paired with an age appropriate woman for a change. Naach Radio – Turn It Up And Naach!